I'm starting a new series on the blog called "what I'm reading now." Anyway, you may wonder what a list of books I'm reading has anything to do with a creative blog. I find that reading, whether fiction or non-fiction, recharges my creativity. I enjoy design centered non-fiction and fantasy fiction which is really me getting a glimpse of the author's creative mind. I find that when we share creativity, everyone recharges their creative mind. If you don't know me in real life, you may not know that I am a real bookworm. When I was growing up, my nose was almost always in a book. 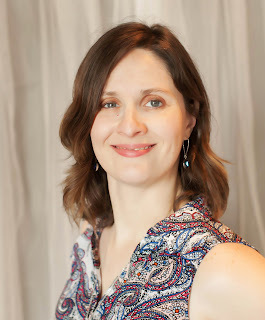 I love to read, and although now with 3 kids, a full time job, and a time consuming hobby (ahem—blogging), I don't have as much time as I would like to read, but I grab the moments I can by making reading a family event. My husband didn't read much for fun before we were married, but we started with me reading aloud to him on long trips to see his family. I think we started with the Harry Potter books, which was a lot of fun. And since we commute together, I read to him while he drives us into work and then back home again in the evening. And now, we have 3 little girls that will tote books into the van, too. My twins aren't reading for real yet, but they can look at a book and recite a version. And my oldest is reading a bunch—in addition to school required reading, she's starting to go through the Magic Treehouse series! 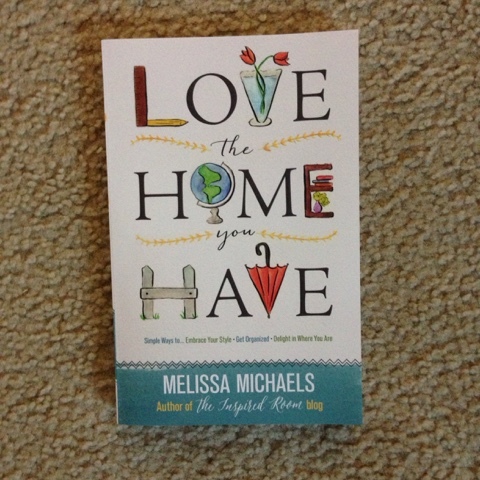 Love the Home You Have – A new book by blogger Melissa Michaels (of The Inspired Room fame) that I think I really need—especially when I am tripping over toys and my bare feet crunch onto dropped food. 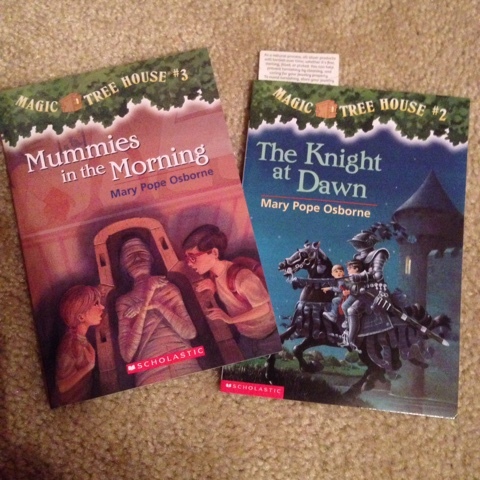 The Magic Treehouse book 3 (and finishing book 2) (Mummies in the Morning /The Knight at Dawn– my eldest is still at the age that she's reading aloud to us, so I count this as reading, since I'm reading the book with her. She's really into this series, and since it's challenging without being overwhelming, and loads of fun—it's a perfect blend for us. It doesn't hurt that it is a book series that I never read when I was a child. The Nesting Place – This is another blogger book, and I read it when it first came out last year and loved it. I'm rereading it over spring break because I want to revisit some of the pieces. It's in the same vein as Love the Home You Have, I believe. 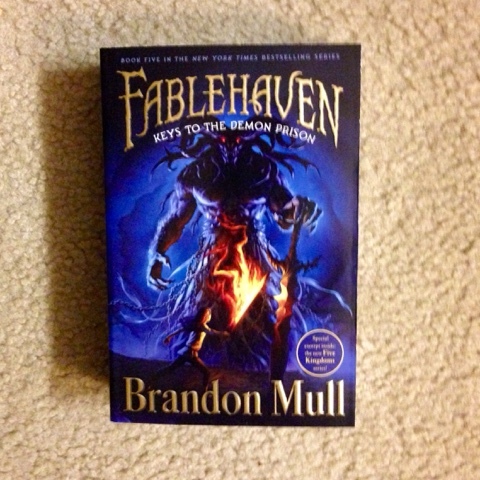 Fablehaven volume 5: Keys to the Demon Prison—this is the series that my husband and I are reading currently. It's a young adult series, but we've really enjoyed it. I find that if the main character is a teenager, it gets thrown into the young adult genre, and you can miss some really well written pieces if you only look for "adult" books. It's a fantasy fiction series that centers around a brother and sister who discover that their grandparents run a preserve for magical creatures. Keys to the Demon Prison is the final book—we're looking forward to finding out what happens! 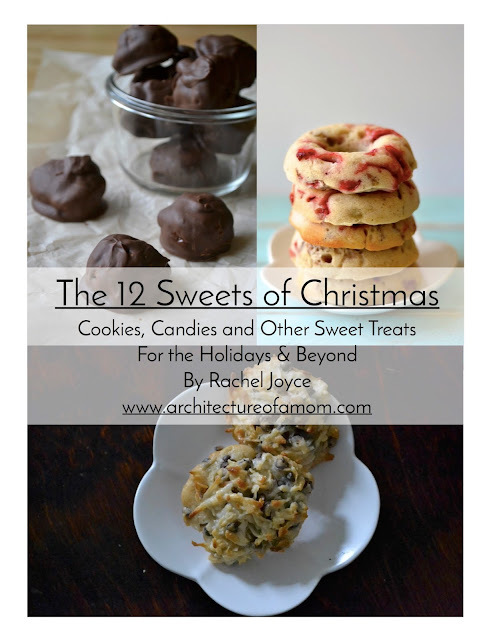 I'm hoping to make this series a monthly and/or quarterly series. We'll see what happens!